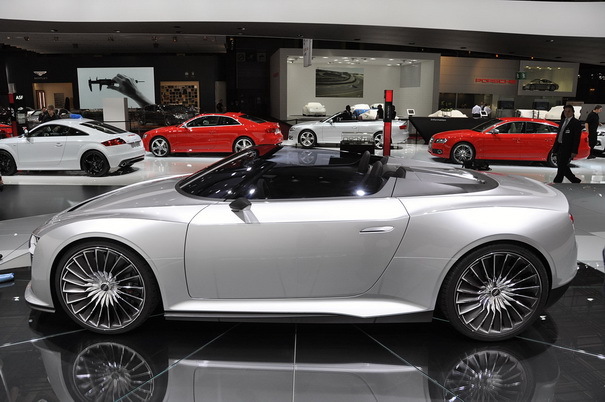 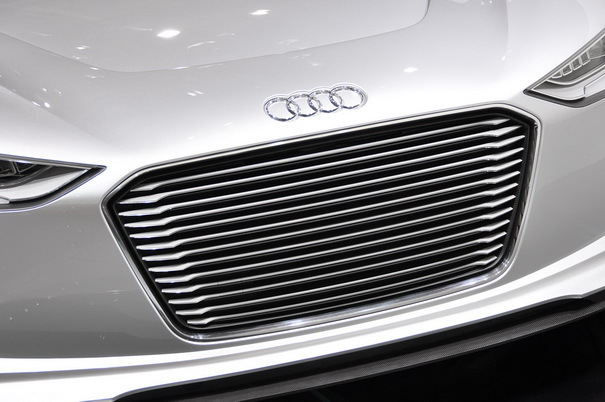 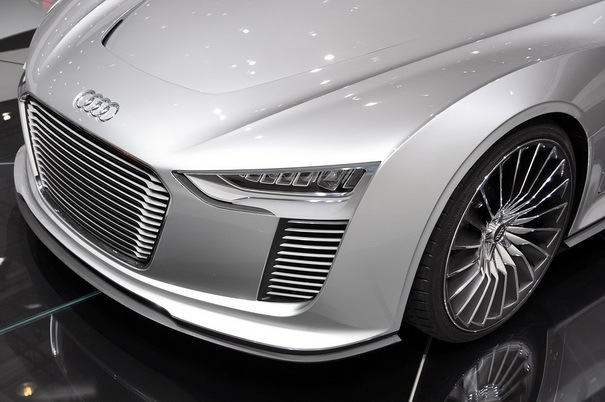 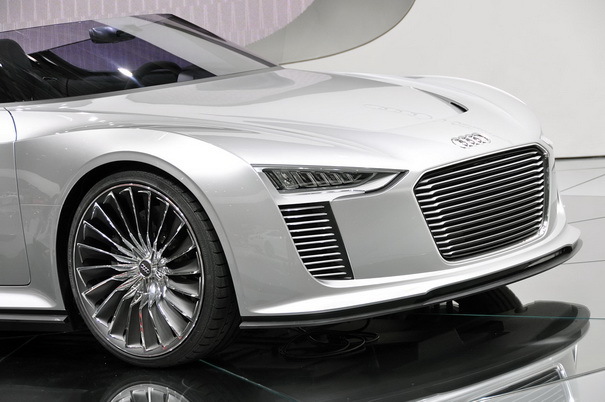 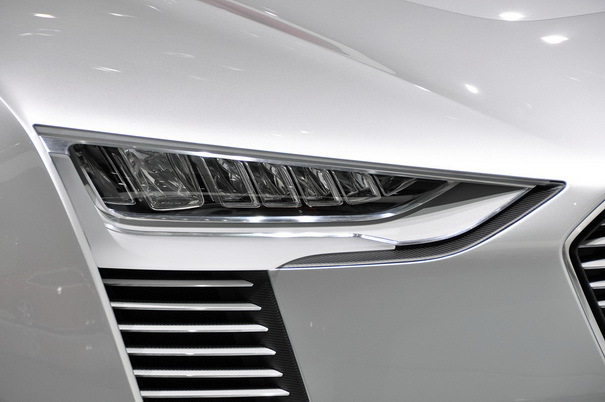 Audi unveiled the e-tron Syper concept at the Paris auto show 2010. 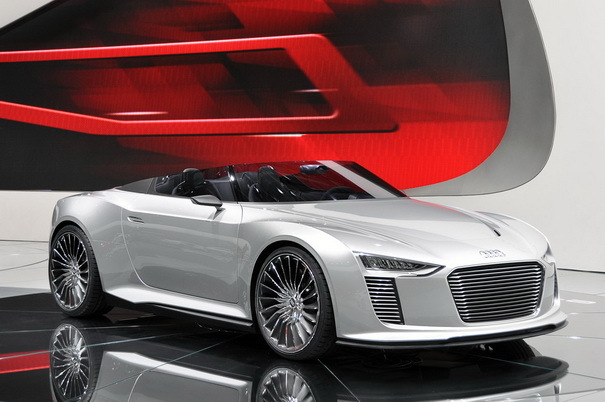 To prove the abilities of this car, it will now show up at LeMans. 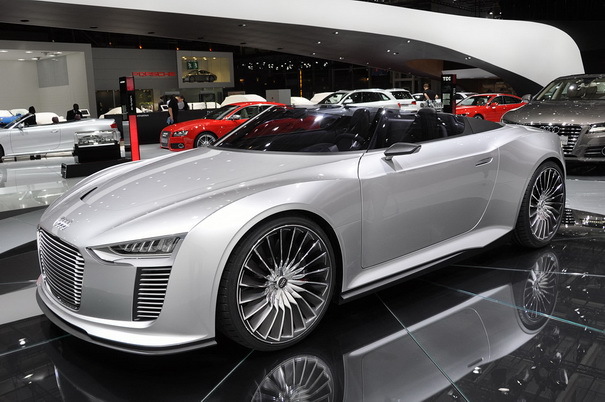 The Audi e-tron Spyder features a pair of electric motors driving the front wheels with a combined 87 horsepower of power and 260 pound-feet of torque. 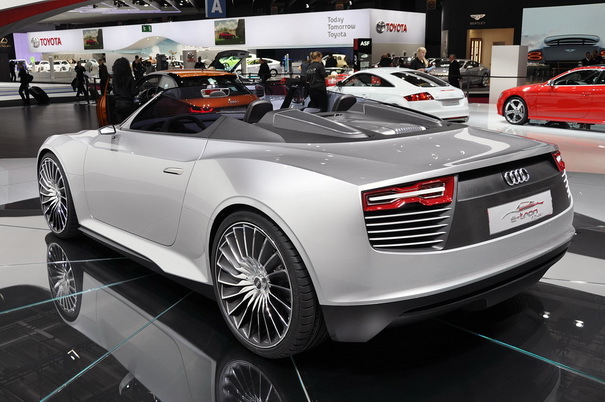 In the rear sits a twin-turbocharged 3.0-liter V6 TDI that cranks out up to 300 hp and 479 pound-feet of torque. 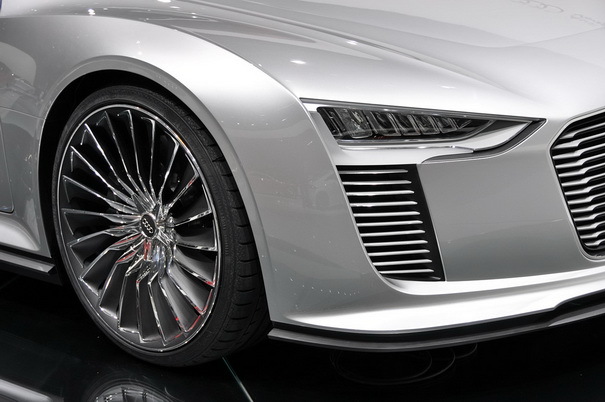 Them horses are funneled to the rear wheels via a seven-speed transmission. 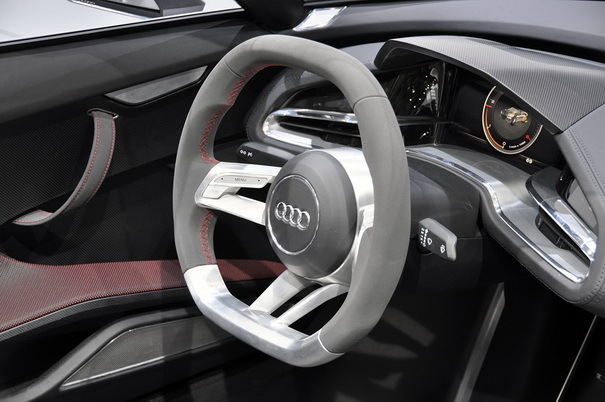 Audi says that the three units can operate separately or in unison and lists maximum output at 388 hp, with torque peaking at a hefty 664 pound-feet. 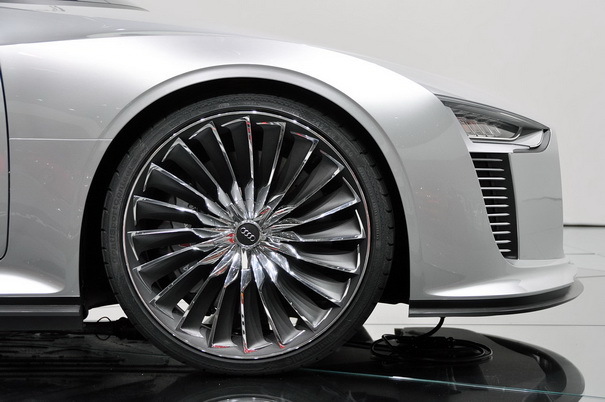 Audi says that despite the hefty 9.1 kilowatt-hour lithium-ion battery mounted up front, it managed to keep the vehicle’s weight in check and distribute the pounds evenly across the chassis. 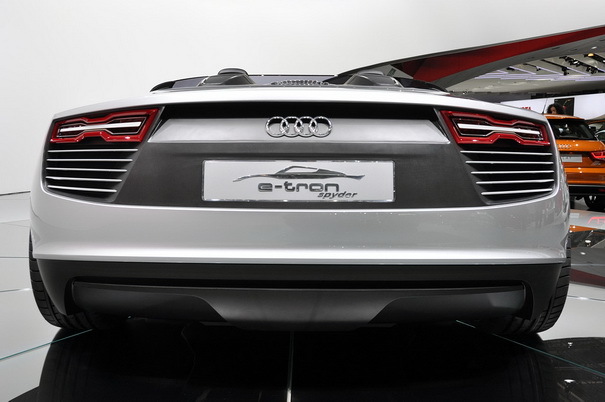 As a result, the e-tron Spyder should be plenty tossable. 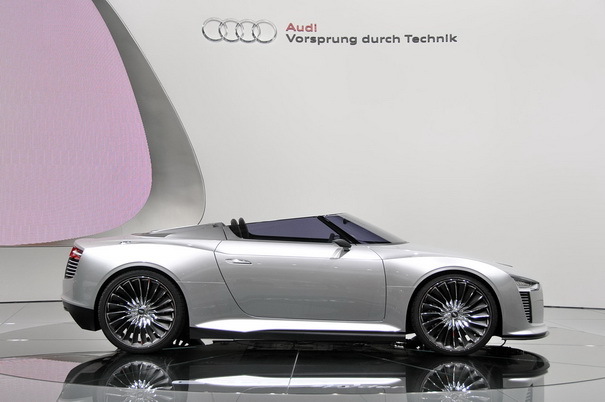 Audi claims the e-tron Spyder tips the scales at 3,196 pounds and that the drivetrain provides sufficient electric-only power to hit speeds of up to 37 miles per hour for a total of 31 miles. 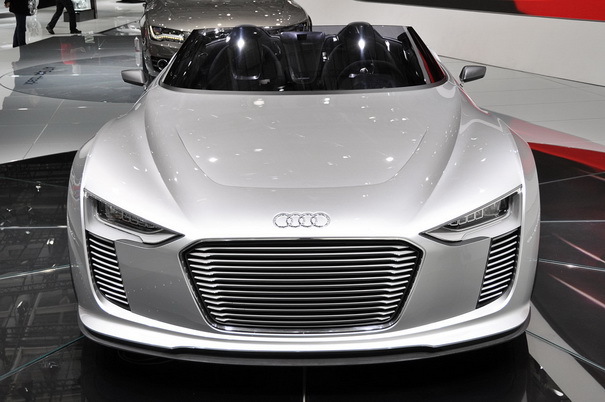 The manufacturer says that in city driving, that capability is enough to hang with traffic. 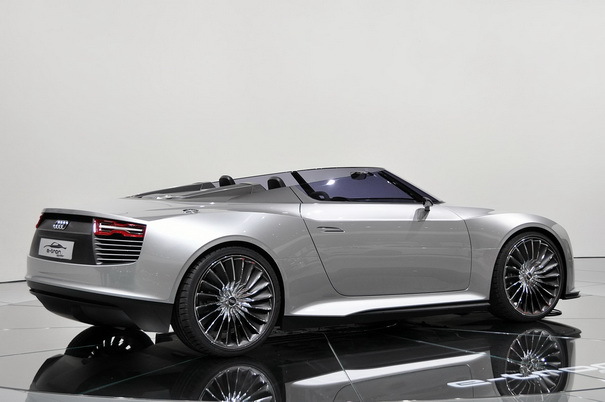 If not, there’s always that torquey diesel V6 out back.